What Do Your Aviation Career Dreams Look Like? Pilot Training includes: A320 Type Rating, B737 Type Rating, ATP-CTP, Private Pilot License, Instrument Rating, Commercial Pilot License, CFI, CFII, MEI, MCC/Jet Transition & More! If log book time, pressurized aircraft endorsement, or a type rating stands between you and your dream job, we can help in just ten days. 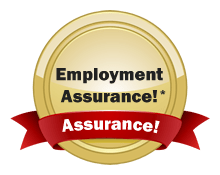 We want you to make the best investment in your career, so we offer unprecedented assurances of our prices and your employment opportunities. AeroStar Training Services is located in the Greater Orlando area, in the heart of Kissimmee, Florida. Provider of first class airline pilot training, AeroStar was founded by airline professionals in 2008. 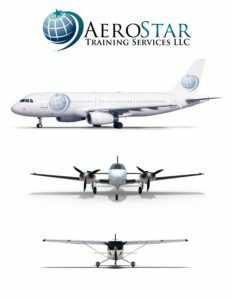 An FAA Certified 141 & 142 Training Center, we serve the needs of individuals seeking a career as a successful airline professional. We focus on the highest quality training, yet making it affordable and flexible, to meet the needs of our customers’ busy schedules. 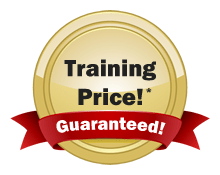 We offer a wide range of certification and endorsement programs in airline pilot training including initial pilot training, ATP CTP aircraft type ratings in the Airbus A320 Series, Boeing 737, Boeing 737NG and BBJ. We also provide maintenance, charter, airline management and personnel services, in addition to professional flight attendant training. (We’re one of the leading flight attendant schools worldwide!) We are also one of only the few schools in the world who can offer students a complete flight training program from zero hours to ATP CTP and type rating. AeroStar always welcomes international students! Clear, engaging, courseware allows flexibility to learn at home, and arrive oriented & prepared to make the most of your time with us. Curious about type rating cost and return on investment? A320 & B737 type ratings, plus ATP CTP certification courses, qualify you for a great career in the most popular airline aircraft in the world. World-class, computer-based or classroom ground school training gives you solid background knowledge to feel confident in the cockpit. Most advanced simulators that provide realistic flight experiences before you ever leave the ground. Experienced airline faculty with a passion for teaching – they care about your success & spend the time to be sure you understand & have a great time. Now Hiring - We are looking for B737 instructors and a CFI/CFII! We also have an immediate opening for a qualified Training Center Manager and Aviation Sales Coordinator. Visit our Facebook page for full job descriptions. I am very satisfied with the training which I received at AeroStar. From the theory portion to the practical techniques, and knowledge level of the instructors, all experiences were top notch!